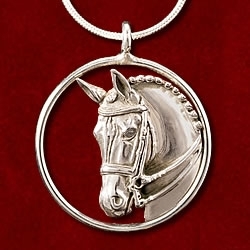 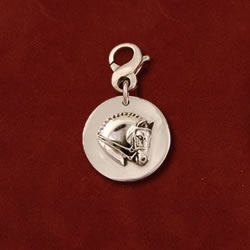 Dressage horse head in sterling silver bridle tag/zipper pull with figure 8 clip. 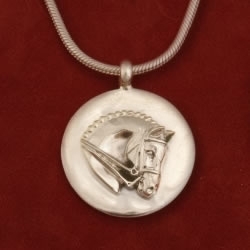 Sterling silver disc measures 3/4″ in diameter. 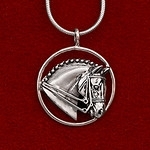 Any mini horse available.